Alain Haoui has prepared special versions of Quill, Abacus, Archive and Easel modified with Martin Head’s Psion Mod package. These allow you to set memory they can use and have a cursor for task-switching more easily. Configured to run from FLP1_ and data on FLP2_. Please note that these modified versions can’t be (re)configured with the original PSION utility as it will not be able to find items on expected offset addresses. Refer to Martin Head’s Psion_Mod package mentioned above for more info. However, all configuration items can be passed as parameters to Mods. Look at Martin Head PSIONMOD_DOC inside this package for instructions. All this needs Toolkit 2 activated. This entry was posted in News and tagged Psion on 13/05/2017 by Dilwyn. A cursor emulating mouse kit from members of the Merseyside QL group in the 1980s. 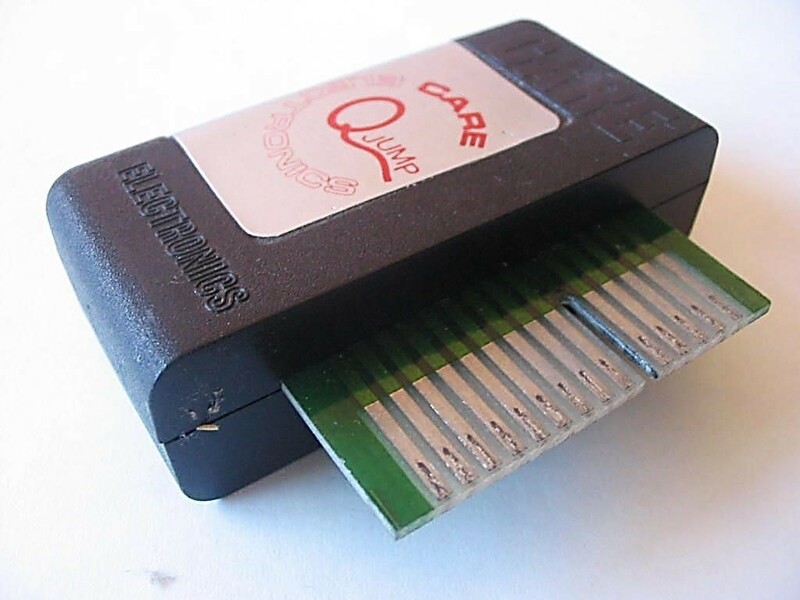 Supplied in kit form, the interface was usually installed inside the QL with a socket to allow a mouse to be attached. 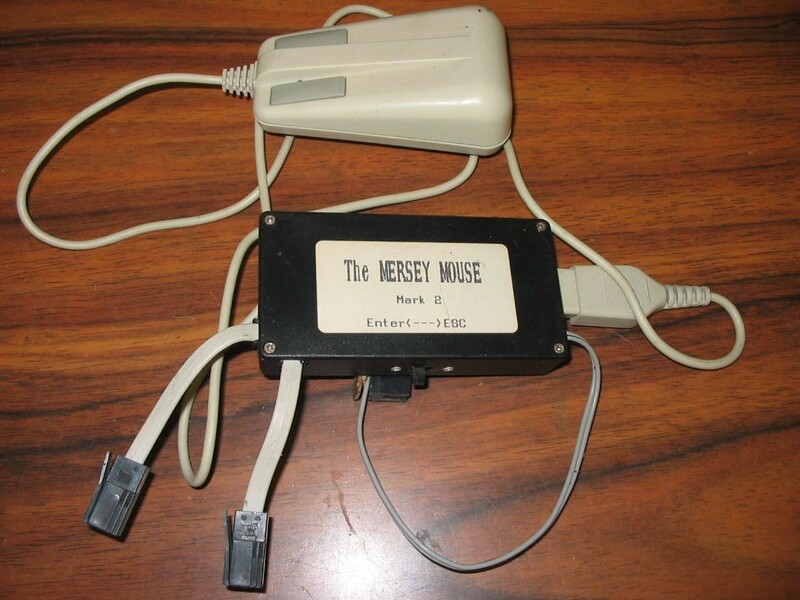 There were a few examples of these built into external cases, plugged into the CTL sockets too – the picture shows one I came across with a dot matrix printed label indicating ‘Mersey Mouse mk 2’ with a switch which allowed you to switch one of the mouse buttons between ENTER and ESC. These scanned documents are from Steve of QBits and include a circuit diagram and installation instructions. Not that many of these were made, so if you get hold of one of these rare interfaces, you have a collector’s item on your hands! (Scanned as three JPEG files). This entry was posted in News and tagged Mersey Mouse on 11/05/2017 by Dilwyn. Several program from former QL trader QBits have been made available, some in an updated form. QBDarts – a darts game allowing you to play 301 or 501 on QL. QBWH – Storeman_Sam and Warehouse_Sam combined into a program called QBits Warehouse (or QBWH for short). Try to manage a warehouse, invoices, deliveries, stock movement etc. QBGolf – Play an 18 hole round of golf. Play against other generated players to compare scores. Pit your skills at Power Driving off the tee and Putting the ball once you reach the green. QBMD – A Minesweeper style of game. This entry was posted in News and tagged Q-Bits on 09/05/2017 by Dilwyn. For the first time in nearly two decades, a new version of Toolkit 2 has been released. Working from SMSQ/E sources, Marcel set out to re-create something resembling Toolkit 2 from them again. Although it proved to be more work than he’d anticipated (not that this ever deterred our Marcel!) Toolkit 2 version 2.30 was born. Many SMSQ/E features were left intact if feasible, such as LOAD appending a “_bas” extension to filenames of SuperBASIC programs. Some of the new and useful SBASIC extensions were also included. Some features got dropped such as the ALARM and CLOCK and the network fileserver FSERVE (since the networkis critically timed, it may run at different speeds from RAM, rendering it unusable). The extended MDV driver sources are long since missing and not present in SMSQ/E so Marcel re-engineered that from an existing ROM binary. Since most people now use the Extended Environment, Marcel decided to drop most of the ALTKEY code since that is better replaced by the Hotkey extensions, but the Alt-Enter last line recall was kept. Most of the stuff dropped was done to save space in the ROM, as it has to be kept to no bigger than 16K bytes. Version 2.30 was quickly replaced by v2.31 to fit an old bug in the CDEC$ extension. It is now available to download in ROM image and RAM-based RESPR version (the RAM-based version includes full ALTKEY code because space doesn’t matter so much here). The source files are also available. This entry was posted in News and tagged toolkit 2 on 06/05/2017 by Dilwyn. 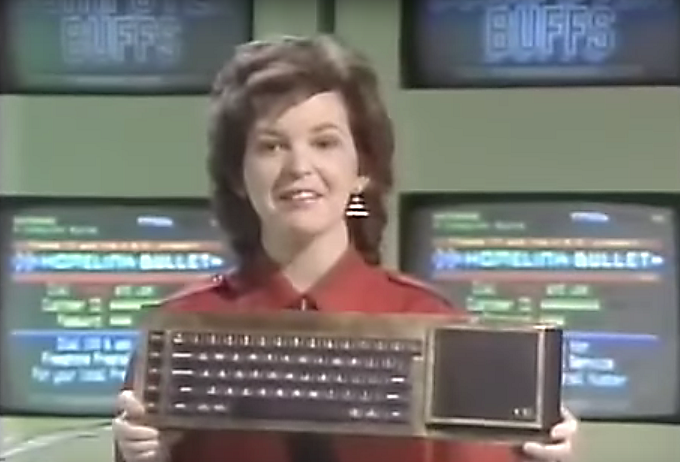 Darren Branagh came across a YouTube video of a Thames TV programme called ‘4 Computer Buffs’ from 1985 which features a 9-carat Gold QL (literally!) from Aspreys Jewellers in the opening headlines, the price back then a cool £3,500! Several people asked what happened to this QL – any of our members know? The programme interviews Sir Clive Sinclair about the relaunch of the QL in 1985, where Jane Ashton and Sir Clive discuss matters perceived to be hindering the success of the QL at the time, such as microdrives and lack of software. They also discuss the future launch of a Sinclair portable which was to have been Z80/Spectrum based, later becoming the Pandora and Z88. They also discuss the Wafer-Scale Integration. Sir Clive also describes the micro of the future as one you can talk to to ask questions about your health and so on. This sounds remarkably like the Alexa and other modern systems, proving that he was quite a visionary even back then! You can also see a system whereby software was transmitted via the video display as a flashing dot in a black circle on screen ready for a photo-receptor to decode as a software download. This entry was posted in News and tagged Gold QL on 05/05/2017 by Dilwyn.